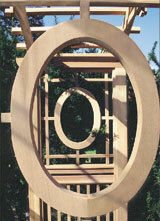 This design is a combination of historical styles carefully brought together to create a striking, but traditional arbor. 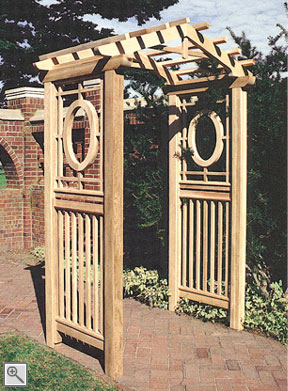 The arbor is complemented nicely by the Chippendale Gate and the English Arbor Extensions, as shown with the English Arbor. The arbor is also available with any of our gate and extension styles, as referenced in our Arbor Gates and Extensions section. 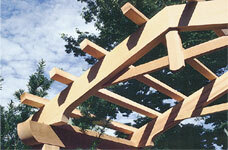 Constructed of western red cedar, 4" x 4" posts, 1" x 1" cedar balustered side panels and stainless steel fastenings.